One of the walls within University Counseling Services states: "The journey of a thousand miles begins with one step." University Counseling Services at Oklahoma State University-Stillwater has expanded its mental health services for students both on and off campus. UCS has partnered with TAO Connect, a digital platform aimed at making behavioral health therapy more accessible, efficient and effective. Through TAO, students have access to an app that provides behavioral health tools in addition to in-person sessions at the counseling center. TAO’s technology can be used two ways: therapists at the counseling center can assign TAO to students to enhance in-person sessions, or students can enroll in the program and download the app for a self-guided, anonymous experience outside the counseling center. Students seeking self-help services have access to a suite of digital behavioral health tools, as well as the option to utilize the technology in tandem with a university therapist or counselor. “This is an exciting step forward in providing improved access and supportive mental health resources to our students. TAO is an industry leader in higher education and well known for its interactive and evidence-based approach,” said Dr. Leon McClinton, interim vice president for student affairs. UCS also has partnered with Mercy Health System to implement its Student Assistance by Mercy program (“Call SAM”) for students in need. Call SAM can be reached at 1-855-225-2SAM (2726) and is a free and confidential 24-hour hotline for students dealing with mental or emotional well-being, substance abuse issues, family crises or any other mental health concerns. Students will speak directly with a licensed counselor who will be able to give real time supportive advice and provide campus and community resources. 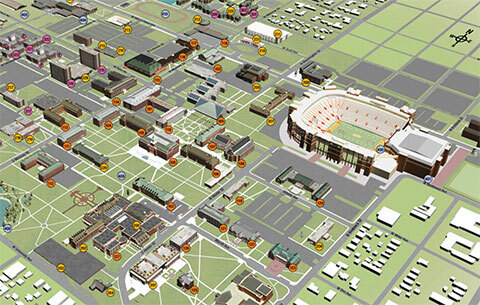 “This is a tremendous new resource for OSU students. Having an immediate opportunity to speak with a licensed counselor 24 hours a day demonstrates an ongoing commitment to timely mental health assistance for our students,” said Chris Barlow, interim director of University Counseling. “The need for continued enhancement of mental health resources on our campus is pivotal to the success of our students. Higher demand for campus mental health resources is something nearly all universities are facing right now. These programs are a big step in making sure our students always feel supported,” McClinton said. For more information on these new services and other mental health resources at OSU, visit ucs.okstate.edu.